It’s that time of year when the stores have an identity crisis. They can’t decide whether it is fall or winter, Halloween clearance, Thanksgiving sales, or Christmas, Hanukkah, Kwanzaa, or New Year’s. So it’s a little bit of everything. On November 1, I started getting emails with sales on holiday decor. Among them, there were huge sales on artificial trees. 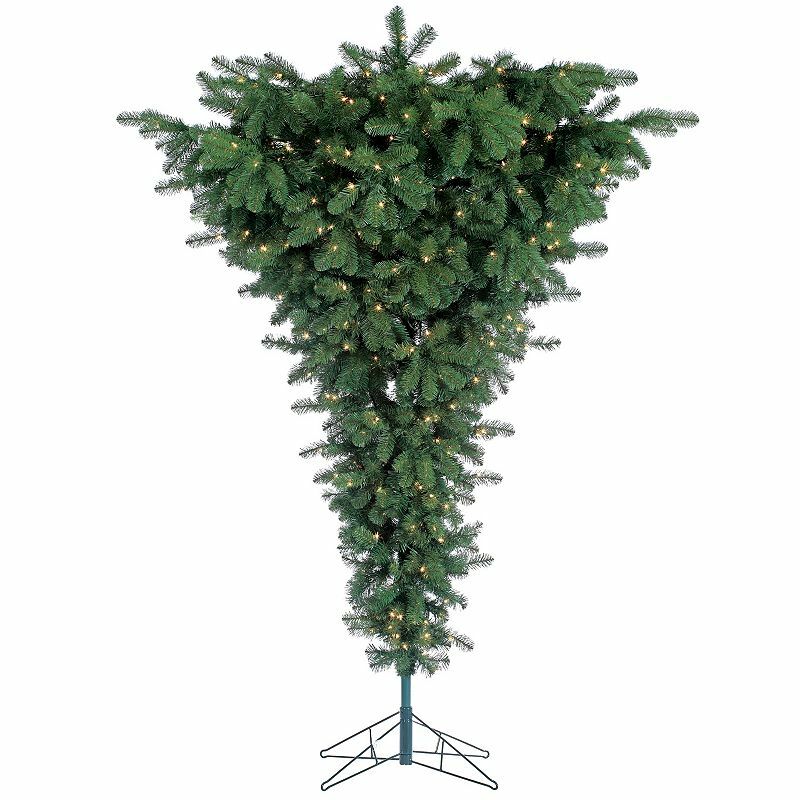 Since last year I had a moment of crisis over deciding, once again, whether to get a real tree or artificial, I opened the e-mail, clicked the link, and perused the selection. I have to admit the idea of a prelit tree appeals to me–at least until I think about one bulb blowing out messing up the whole tree. Then I rethink the whole thing all over again. Still, it was interesting to see artificial trees that cost more than my first car…..and my second one as well. Madness. And I didn’t really think they were that nice-looking either. Then I came across this one. Y’all. I’m thinking it would take a special kind of bird to put this up in her house. And yet, I think it’s funny enough that one year, I might do just that. I thought about it, and I guess the same way we do on a regular tree, but the ornaments would stand out more, right? Not being hidden in the branches like on a right-side up tree…..
And then I read that these trees were used to display delicate ornaments in specialty stores and that the idea for them came from a 12th century European tradition of hanging the trees from the ceiling. These trees allow for more gifts “beneath” the tree and can be placed in tighter spaces. I can’t believe I’ve put so much time into thinking about this tree. But then, it does fall into the “Things You Never Thought You’d See” kind of category. It gave me pause. Maybe one year I will be ready to break from tradition and turn Christmas upside down…..
but I am pretty sure it won’t be this year. And not just because they are ALREADY SOLD OUT ON-LINE. Mostly because I’m a stickler for tradition. Wishing you all a bit of whimsy and fun in your day. Thanks, now you’ve got it in my mind like an old song that you just can’t quite get rid of–You Are My Sunshine, for instance.